A November article in The Wall Street Journal about online sites promoting the art of barter followed their usual pattern of reporting examples and opinions on both sides of a question. ?Not everyone is convinced online bartering, at least pure direct-trading sites, will work. Krista Vardabash, executive director of the International Reciprocal Trade Association, says Web sites that count on direct trading are impractical. ?It?s for the same reason that old-fashioned barter didn?t work,? she says. ?Eventually some of them are going to find out that they have to introduce a trade credit.?? In a follow-up conversation with Vardabash, she told me that the reporter contacted IRTA to inquire about online trading, and wanted statistics regarding swapping sites. Vardabash says she explained to the reporter that swap sites are a different model than commercial trade exchanges. She then provided the reporter a brief tutorial on what commercial exchanges do and how they operate. She explained that a trading unit is necessary to make more swaps happen, because of the restrictive nature of direct trading...which is what most swapping sites facilitate. Vardabash said it was good to be quoted in the WSJ, but thinks the idea of having commercial trade exchanges lumped together with swapping sites is an indication that more education is needed. She indicated that perhaps the word barter is doing the commercial barter industry more harm than good...concluding vigorously that we are not swappers!! Samuel Heyman has amassed a fortune in real estate, building materials and chemicals. And today the 67-year-old American investor also owns a part of one of the world?s most storied financial markets, the London Stock Exchange. Educated at Yale and a graduate of Harvard Law School, Heyman started his career in the Justice Department as a trial lawyer during the administration of John F. Kennedy, earning $2,500 a year. Five years later, the early death of his father in 1968 brought him back to his family?s real estate business in Connecticut. He still encourages young people to go into government service, noting in a 2002 interview with The Wall Street Journal that 30% of his fellow 1963 Harvard Law graduates went on to work for the government, but only about 3% of 2001 graduates did. Peter Peterson is a former U.S. Secretary of Commerce and the senior chairman of Blackstone Group, a private investment banking firm he co-founded in 1985. He is an outspoken advocate of reducing the U.S. budget deficit and has authored two books on the subject. Peterson has also been chairman of the Institute for International Economics since its founding in 1981. The Institute, a prominent voice in policy debates over globalization and free trade, is changing its name to the Peter G. Peterson Institute for International Economics?or the Peterson Institute, for short?in honor of the think tank?s founding chairman. Major drug manufacturers around the world are eyeing China as the answer to sophisticated laboratory services. And they see China as an emerging competitor to India...long the most-popular destination for outsourcing chemistry research and drug development. Estimates to develop and market a new drug often run as high as $1.2 billion. Much of that cost goes for the slow process of sifting through thousands of compounds, in hopes of finding one that works against the disease being targeted. In the U.S., the overall cost of a chemist to do drug development work is around $250,000 a year. In China, chemists with similar educational backgrounds may be hired for as little as $25,000 a year. Steven White, CEO of ITEX (OTCBB:ITEX), announced modest growth in revenue, operating income, and net income for its fiscal 2007 first quarter ending October 31, 2006. 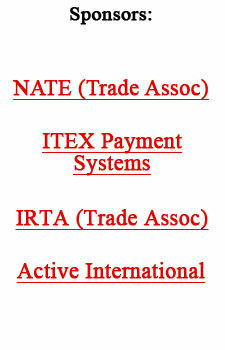 ITEX Corporation?s first quarter report on Form 10-QSB can be found at www.sec.gov. ITEX has had three consecutive years of profitable operations and continues that trend into the fourth year. The financial highlight for this quarter?s report was the retirement of all remaining debt associated with the July 2005 acquisition of BXI Exchange. The company has no long-term debt. ?Enthusiasm is high in our broker network,? exclaimed White, ?and we plan to harness this positive energy to assist us in several growth initiatives, including co-branding partnerships, marketing campaigns to increase both member registrations and attract potential franchisees, and enhancing member referral programs. CEO Gary Lasater revealed that TeleTrade?s international service center for independent trade exchanges established a new benchmark for total transactional processing of $95.9 million at the conclusion of November 2006...an 8% increase over the entire 2005 activity. TTi is taking steps to bring its proprietary swipe card terminal technology and programs to U.S. merchants before going global. Exciting new programs are in the works for 2007. For more information contact Gary Lasater at (303) 840-7172 ext. 1, or via e-mail at gary@teletrade.net. The new fax number is (702) 995-3149. A six page Forbes magazine article (November 13, 2006) titled ?The Company He Keeps,? related Rudy Giuliani?s various business endeavors as the head of Giuliani Partners. It noted that he mixes with the nation?s most prestigious people, and is anticipating a run for president of the United States in 2008. It also reported that his company has accepted fees from several companies in the form of publicly-traded stock (including several OTC bulletin board companies) for his firm?s services. Several people with great name recognition (Bill Clinton, Al Gore, Colin Powell and others) who left public office for the private sector, also traded their services for equity in companies they advised. In each case, what they derived from bartering in the private sector was much greater than when working as a public servant. What?s the newest superfood? It packs 10-times more iron than cow?s milk and has antibodies that could help fight cancer and Alzheimer?s disease. Answer: Camel?s milk. There are 20 million camels in the world and, until recently, the harvesting of camel?s milk was limited to nomads with buckets. A new Kenyan company, Vital Camel Milk, is creating a dromedary dairy industry. The United Nation?s Food and Agriculture Organization predicts $10 billion in annual sales for camel?s milk products by 2016, with usage in ice cream, milk chocolates, cheese, yogurt, and butter also in the works. Soul singer James Brown did it, so did David Bowie. They each raised $50 million by issuing bonds backed by current and future revenue from their songs. The use of patents and trademarks for financial flexibility is growing because of the U.S. economy?s shift away from manufacturing. It can indeed be a godsend for smaller companies that don?t want to share equity with an investor. One biopharmaceutical company recently obtained financing of $30 million, by agreeing to pay a private-equity firm a percentage of its revenue over 10 years. They maintain control over their intellectual property unless they go into bankruptcy protection, in which case their patents go to the private-equity firm.